I have always enjoyed art and expression in many different platforms of creation. When I think of what moves me the most, I immediately think space and light. To date, walking into my first James Turrell [ my own personal hero ] install, SKYSPACE at the Nasher Sculpture Center in Dallas, Texas, has been one of my most moving experiences. When asked to describe it I find myself at a loss for words and all I can think is "almost spiritual". In his own words James says: "What is important to me, is to create an experience of wordless thought." And I get it, the experience is about engagement more so than sight and words. In swooning over KOWTOW's Solid Light collection, imagine my excitement in learning it was inspired by artists like James Turrell and experimentations with space and light. The line is beautifully minimal yet does not lack depth. Thinking again about my experience in Dallas, I love the idea of each garment engaging with the body, movement, light and space. 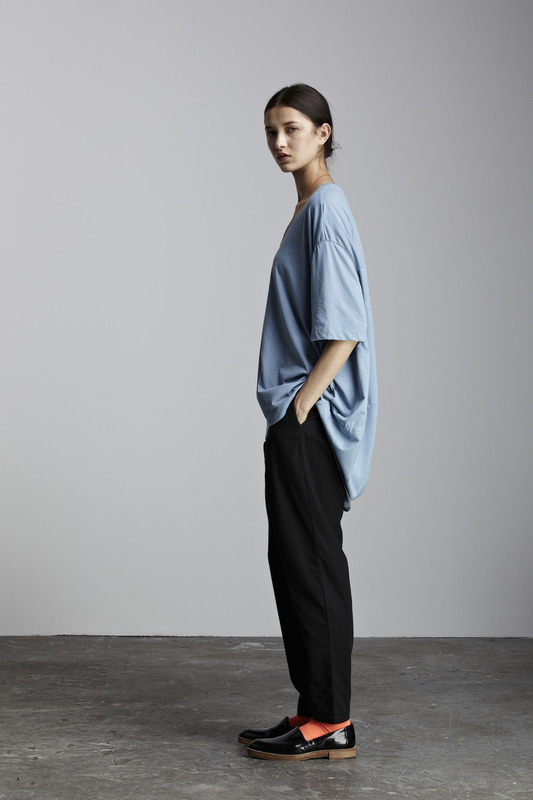 Not only is New Zealand based KOWTOW thoughtful in design, but also philosophy and social responsibility. All of their clothing is certified fair trade organic that is ethically and sustainably made, seed to garment. Learn more and view collections here.